Annnnnnd its back to my jeans and sweater routine. 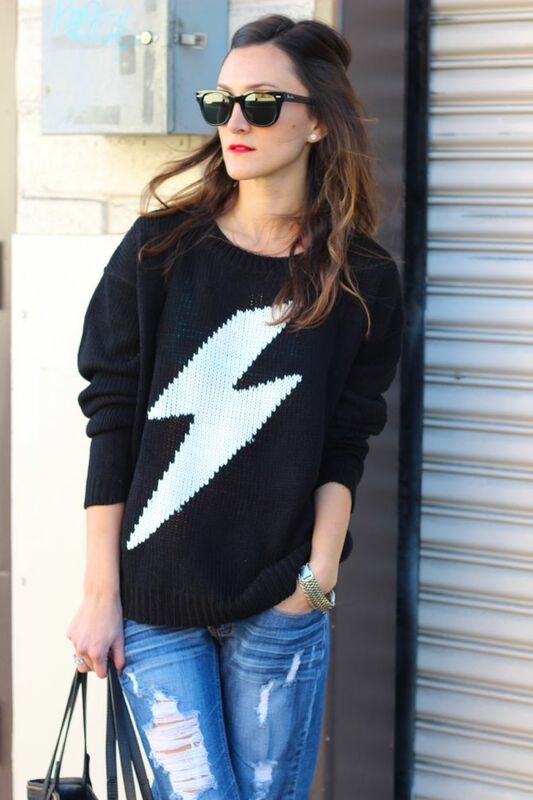 I just couldn't resist this lightning bolt though! Love this look, Nicole. You've got so much personality, sass and confidence to your style. 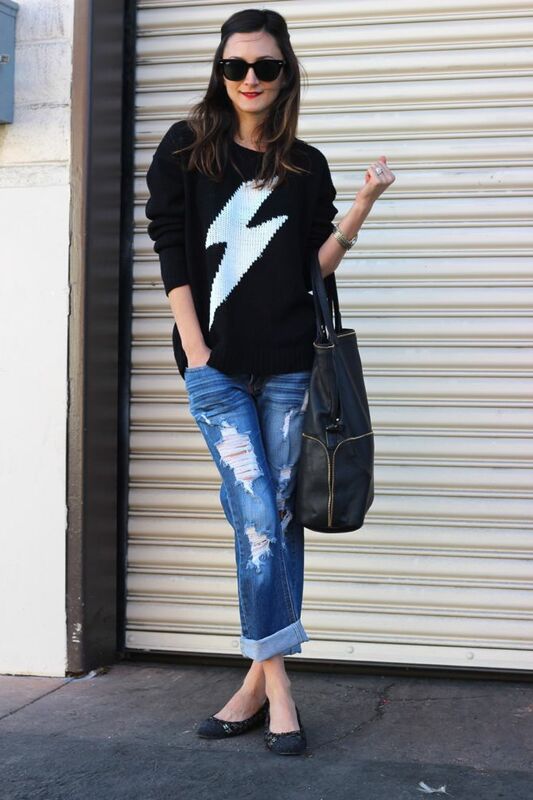 I find it difficult to do boyfriend jeans with flats but you pull this off with such ease. You look amazing! Ye gads, I love that sweater! Very cool sweater indeed and those jeans are perfection! Such a super fun and cute look! Jeans and sweater is definitely my routine too. 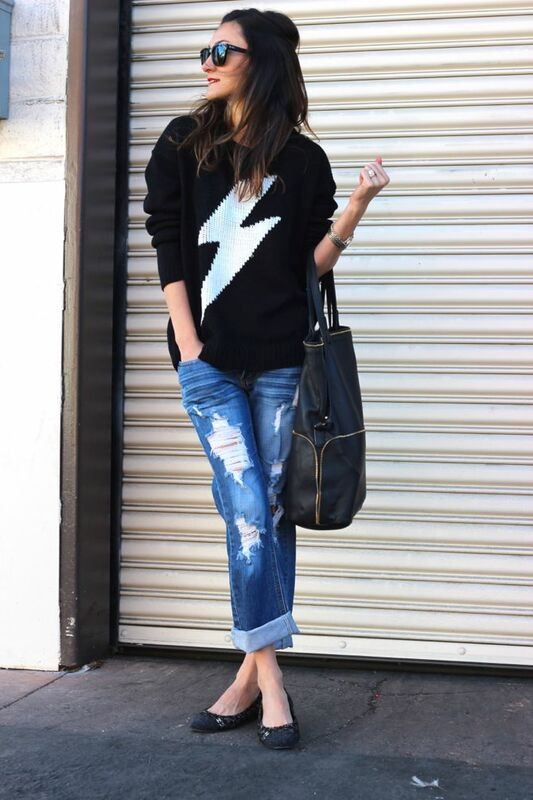 This sweater is so fun, and I loveeee the tattered boyfriend jeans.